Play Three in our '18-19 Season for Scoundrels. Claire Marie Mannle(The Yellow Wallpaper) takes us on this fantastic journey, a life's journey that you won't want to miss. Michelle Milne (Director) has worked as a director, performer, writer, and educator across the US — including both coasts and regions in between. She has recently directed highly physical and immersive productions of Brontë (2017 Drammy Award for Best Production in Portland, Ore.), Julius Caesar, Romeo and Juliet, Eurydice, The Best of Everything, several ensemble-devised productions, and a collaboratively directed production of Macbeth at a prison in eastern Oregon.She performs around the US and Canada in the 2-person show, Discovery: A Comic Lament, for which she also served as movement director. This winter she was delighted to work with Wolfe Bowart on his recent production of Cloud Soup here at Scoundrel & Scamp. She also performs her original writing with musician Heather Kropf in We Know There Are Oceans: A Travelogue; has performed her poetry as the character “Carmelina du Jour” in Chicago’s Poetry Bordello; appeared as Supervisor McCrae in the sci-fi TV show pilot DeckTechs; and was part of the ensemble for Palissimo’s The Painted Bird at La Mama in NYC. Her original piece about borders and walls, For Those Who Cannot Fly, premiered at San Francisco’s FURY Factory Festival, and she is currently expanding that piece for touring under the title The Edge Effect. Claire Marie Mannle is excited to return to The Scoundrel & Scamp this season after directing Mr. Burns, A Post-Electric Play and performing in The Yellow Wallpaper. Her recent directing work includes an adaptation of Euripides’ The Bacchae (SITI Company’s Skidmore Intensive) and Nor Any Drop to Drink, a devised play about water issues in the Southwest (UA Studio Series). As an actor, she has performed around town in King Lear, The Grapes of Wrath, Macbeth, and The White Snake at The Rogue Theatre and in The Tempest andThe Comedy of Errors for Arizona Repertory Theatre. She is an Instructor for the School of Theatre, Film, and Television at The University of Arizona. A New York City native raised in the Midwest, she came to Tucson via Los Angeles where she worked with The Grand Guignolers, Cornerstone Theater Company, A Noise Within, The Antaeus Academy, and SITI Company. She has her MFA from the Dell’Arte International School of Physical Theater and her BA from Smith College. Elizabeth (Production Design) is a poet, musician, and teacher with a passion for hybrid form and mixed media. She received her MFA in poetry from the University of Arizona in 2011, where she studied under poets Laynie Browne and Steve Orlen. She has had work accepted at places like The Adroit Journal, Drunken Boat, and Mid-American Review. Elizabeth also has a passion for teaching. She has taught writing residencies and developed curricula for the University of Arizona Poetry Center. She is currently enrolled in a Waldorf Teaching program, and has enjoyed volunteering at schools across Tucson as a guest poet. In prior job incarnations she oversaw system operations and operations staff for PowerSchool Learning, a K-12 learning platform. Raulie (Lighting Design) is excited to be returning to The Scoundrel & Scamp for their second season. He studied theatre production & lighting design for four years at the University of Arizona. Past designs have included Cloud Soup, This Girl Laughs, This Girl Cries, This Girl Does Nothing and Lovers: Part One at the Scoundrel & Scamp Theatre; Die Fleidermaus and The Magic Flute with The UA Opera Theatre; The Wizard of Oz and Peter Pan with CYT Tucson; and Oklahoma! as well as Boeing Boeing with Arizona Repertory Theatre. Raulie would like to thank the Scoundrel & Scamp for the great opportunities they provide to local artists. Leigh (Dramaturg) began her foray into house management in 2009 with The Rogue Theatre and has, at one point or another, filled every front of house roles from baking cookies before the show to sweeping up the crumbs after a performance. She joined The Scoundrel & Scamp team in their 2017 inaugural season and is excited to be a part of the Theatre’s growth. She is an artist for fun, a writer professionally, and a helper compulsively. Leigh is a passionate activist and Tucson enthusiast and enjoys doing the work that make Tucson and the world a better place for everyone. She is a proud pet parent, a planner, and possibly the worst vegan ever. Leigh got a BA in History, with a minor in Linguistics, from the University of Arizona. So far that has mostly garnered her friends and colleagues stories about the War of 1812 they never wanted to hear. Tiffer Hill (Resident Stage Manager) is excited to be entering his second season with Scoundrel & Scamp. 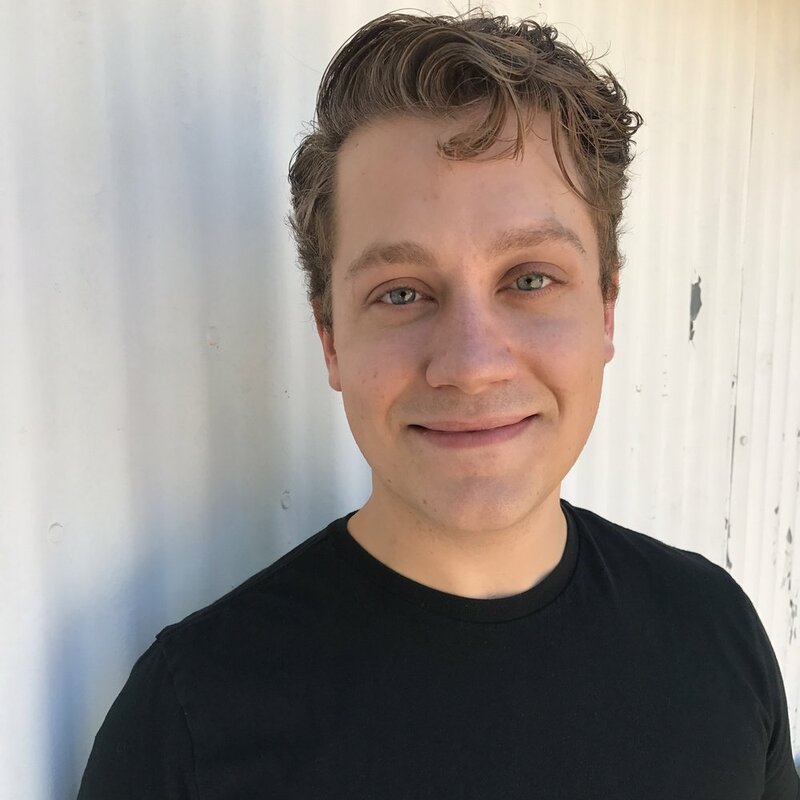 After a brief stint as a vocal performance major at the University of Arizona, he began working as a stagehand at the Gaslight Theatre starting in 2012. He continued working there full-time for the next five and a half years at the pace of at least eight shows a week, eventually stage managing 21 productions including favorites such as Arizona Smith and the Relic of Doom, Spider-Guy, and Ghostblasters! Felíz Torralba (Assistant Director) was born and raised in Tucson. For the past 8 years, Felíz has been working primarily as an artistic associate with Borderlands Theater and has been involved in the production of theatre and educational programs that reflect the diverse voices of the U.S./Mexico border region. She is incredibly honored to be working with The Scoundrel & Scamp Theater again. 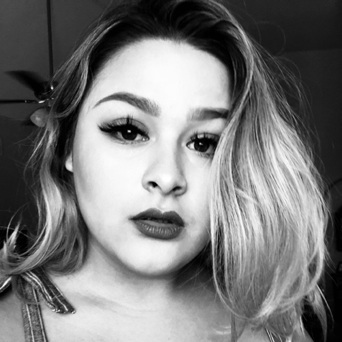 Though she primarily works as a theatre artist, Feliz enjoys reviewing theatre (tamingofthereview.com), recording music, and creating content on social media platforms (IG: @feliztorralba). Her goal is to utilize education through artistic experiences to be an activist for animals, women and people of color. Felíz would like to thank Andy, her family, and her teachers for encouraging her artistry and showering her with love and lessons!